11 Large pockets for placement of important files. Steel construction with powder-coated finish for years of use. Finish is rust and acid resistant for durability. 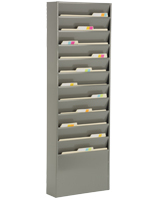 Tan coloring makes the file folder rack ideal for placement in various indoor locations. 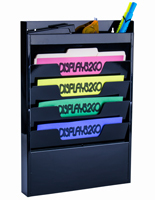 These multi-pocket displays, wall file holders are perfect for office and business use. Each unit features a tan coloring, enabling it to coordinate with any décor. 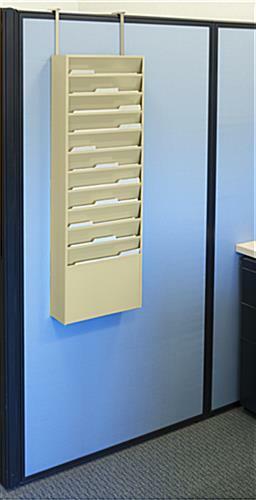 Wall file holders, like the ones seen here, are usually used in medical offices, holding patient charts and information within a reception area or outside of a patient room for doctors and nurses to easily access the information before entering. 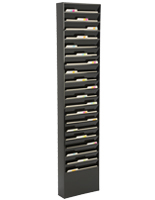 Businesses also use this chart display rack to present information in an organized manner, such as outgoing mail, invoices and other documents. 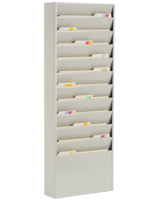 These wall file holders can also be purchased in multiples. 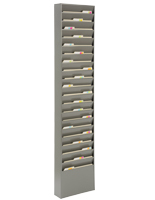 By doing so, users can mount the medical chart display racks side-by-side to make information centers. 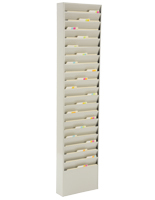 These wall file holders, also called medial chart displays, mount to partitions or uprights so that businesses can keep their displayed information neatly organized and easy to find. 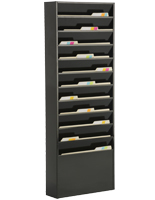 Featuring an 11-tier design, office workers can easily locate the files or literature they need, as the tops of standard-size folders will be visible above the next tier. 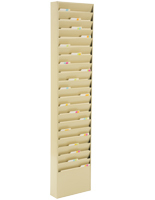 Constructed from steel with a tan, powder-coated finish, each medical chart display rack is durably designed. 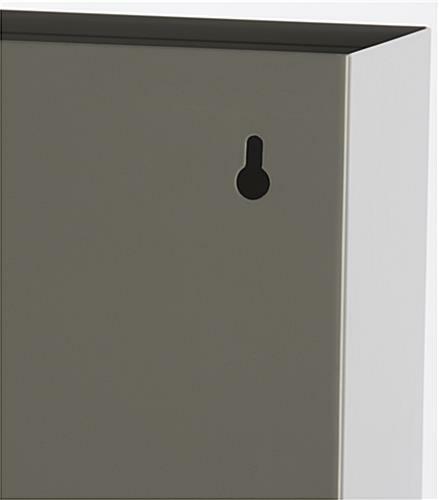 The finish is both rust and acid resistant, ensuring the wall file holders will last for many years to come. 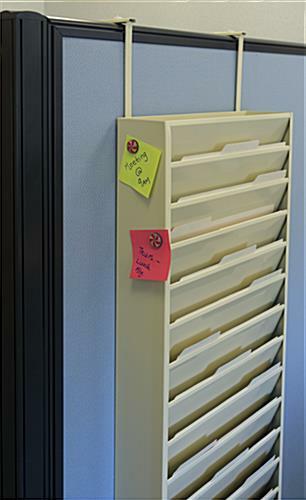 We're glad that our Wall File Holder is helping you to save space! Thanks for the great review, Mary Lou! This filing system is heavy duty. It weighs a lot. Won't be a cheap investment. Looks like it will last many many years!